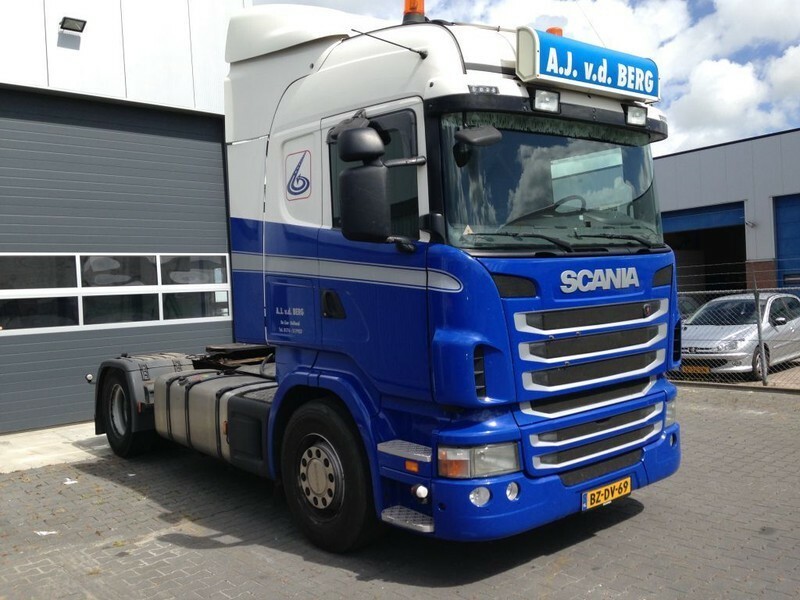 Buy Scania R480 Manual Retarder tractor unit by De Bruin Trading B.V. The price is set up at the amount of 14900 Euro. Check the technical data of the unit, picked out from the catalog of SCANIA R 480 tractor unit. Engine/driveline: Euro 5, diesel, displacement: 12740 cc, engine cylinders: 6, 480 hp, gearbox: manual, transmission: Schaltgetriebe. Cab comforts include cab type: sleeper cab, cab model: Highline.